Guilty Pleasures Cabaret put on an explosive show to celebrate Carnival, the old European pagan tradition to usher out the winter. Later adopted by the Catholics as a food festival because it was the last time to eat abundantly before the 40 days of Lent. Gradually the tradition was created to go onto the streets to have a party together.Social conventions are turned upside down and it is all but required to pretend to be someone or something else. 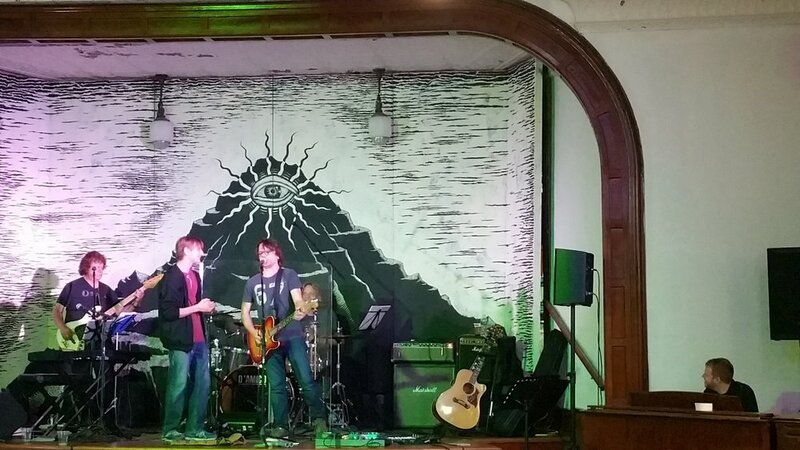 After making their Mount Vision debut at THE CHURCH in July 2017, they returned this January to work on their live show and on new material. The band has recently undergone some changes and is looking forward to spend some distraction-free days rehearsing with their new lineup. Lead Ben Taylor and longterm members Max Maples and Serge Ruccolo are excited to introduce Ben Dobay on keys and Kayla O’Keefe on vocals. Even though the MLK weekend snow storm interfered with the public facing side of their stay, the band enjoyed the peace and quiet of wintry Mount Vision. You may notice that we have eliminated the word “summer” from the headline. Reason being that our focus of the 2018 improvements was on enhancing the “quality of life” at the venue. Many hours of work went into the wood finish floor and finally this fall and after master plumber Jeff Dietz’s well researched and implemented work, we became a year round venue! As we expand our activities, we have to limit the extent of our reflections and let the pictures speak for themselves. We are grateful to have experienced the company of many talented artists. With their encouragement, we have experimented with letting the audience experience THE CHURCH from various angles with Janessa Clark’s lobby installation, to live performance to dance film projection and back to live performance journey, we have experienced Jeanette Yew’s live camera miniature puppetry, we ventured into the world of cabaret skillfully lead by the ladies of Guilty Pleasures Cabaret and even added a strong point for The Dustbowl Faeries’ silk act. Later in the fall, we had a very informative evening on Civic Literacy led by the knowledgeable and engaged Chris Di Donna. A new roof over our heads and many exciting projects in store, we headed into the new season: During our Open House on Memorial Day Weekend, Laura Careless gave a presentation about the research and creation of her upcoming work "She Wolves" followed by Tommy Grasso and his band The Spins who heated up the room. A Jam with The Spins' Keyboardist Steve Lavner on the Hammond organ and Hank Coyote Wagner from Coyote Love joining in on vocals and the harmonica remains in mind as a special and wonderful moment. Laura Careless picked up research and choreography on "She Wolves" the following week. In early June the extremely versatile instrumentalists of Black Mountain Symphony treated us to an evening of musical delight. Later that month local comedian Kevin Johnson and Cooperstown's favorite funk / reggae group: Hanzolo brought down the house. Mid July, the Queens based band Beecher's Fault took up residency to rehearse and polish the live performance of their new album. Just in time for Induction Weekend, they were ready to take the local public on a beautiful and accomplished journey through the band's musical history. In August, Laura Careless was ready to give us a preview of She Wolves, a fantastic journey in word, song and dance through the lives of the women who ruled England before Elizabeth I. 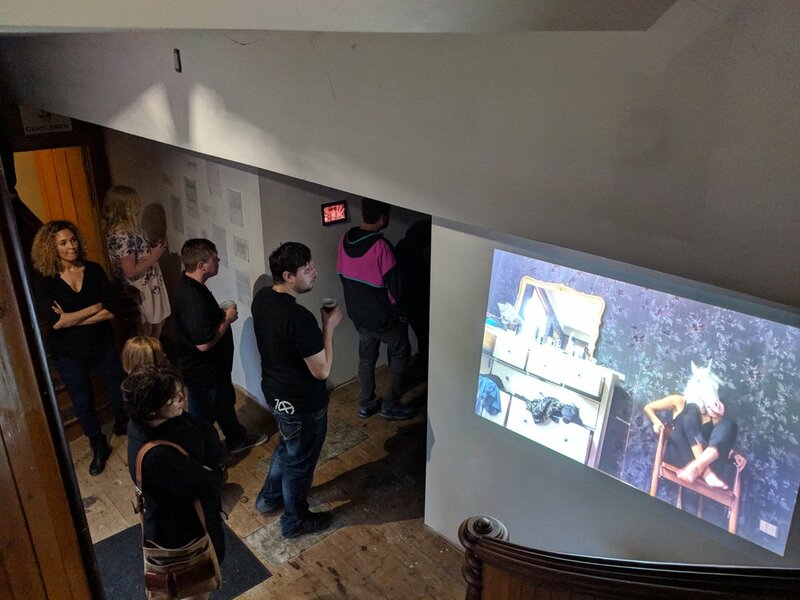 With initial renovations to the downstairs sleeping quarters and a new seating layout in the upstairs performance space complete, we were ready for our first resident artists, Brooklyn Puppetry Collective: "Eat Drink Tell Your Friends" the week after Memorial Day. 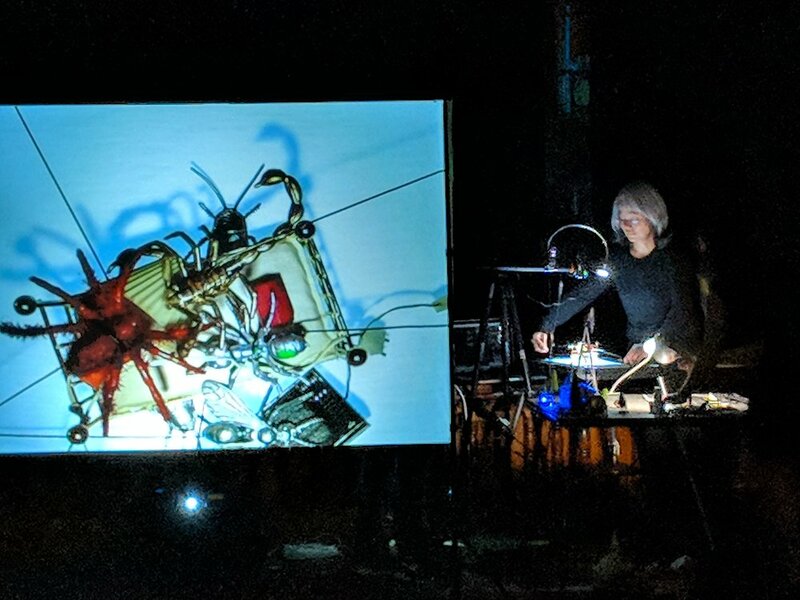 Handmade puppet protagonist Phyllis and her colleagues brought to life a heartfelt and timely story about community and collective memory. 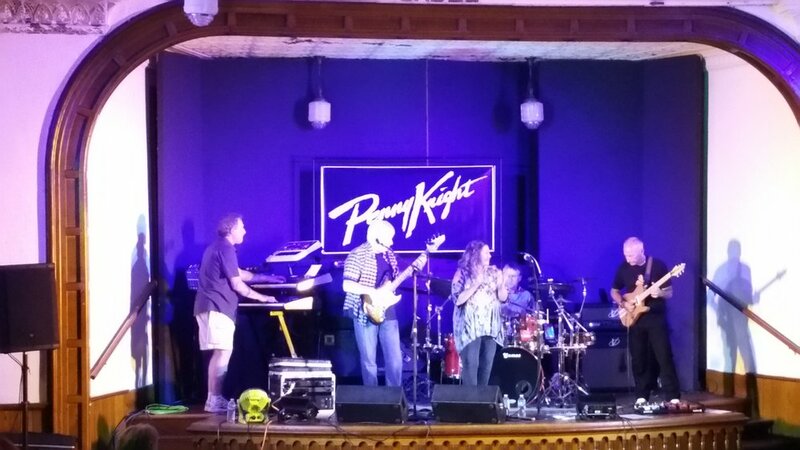 Back by popular demand, The Penny Knight Band entertained on the last Saturday of June. 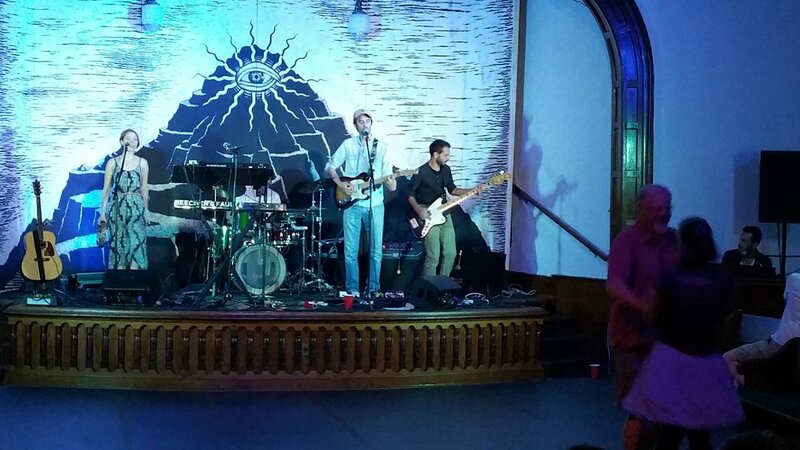 In early July NYC's "Coyote Love" burnt off a musical fireworks of old school blues, funk, rock and soul. On August 20, we closed out the season with an unforgettable evening of dance, music and video installation. 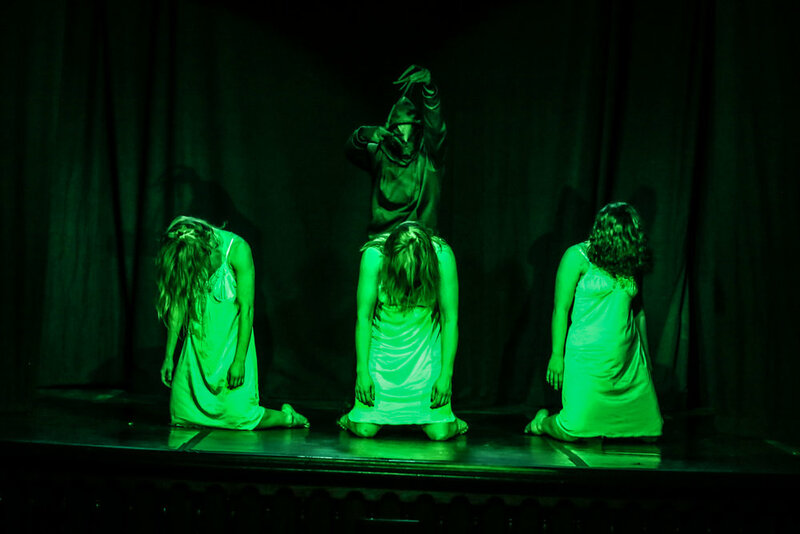 Resident artists Esmé Boyce, Cori Kresge, Cody Boyce, Kit Boyce and Sue Julien premiered "Interrobang - Part II". Guest appearances by 2015 Resident Artists Ashur Rayis and Stivo Arnoczy rounded off the evening. 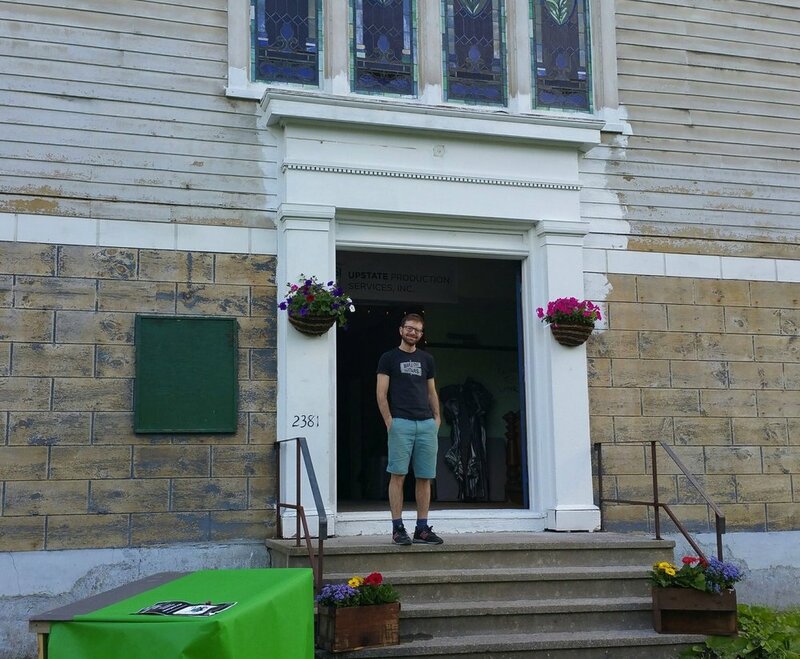 Ashur Rayis opened our season in June working on Neighbor/Neighbor, a series of experimental folk songs based around the concept of communally-created music. Inspired by Irish and American folk music sessions, which depend on community participation, as well as John Cage’s piece, “Living Room Music”, a quartet played using objects commonly found in living rooms as instruments, these songs incorporate layers of “unintentional music” (keys jingling, footsteps, voices from the other room) and organize these layers around folk-based song forms, with the intention of playing back to the community space and thus creating an infinite music. 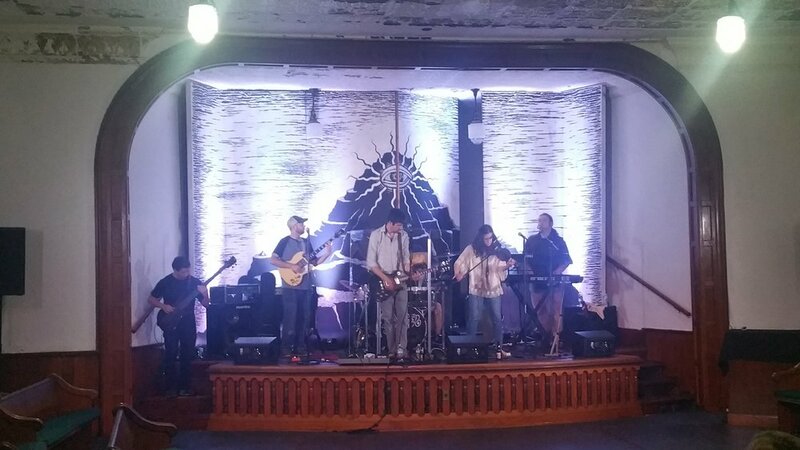 On June 27, the accomplished Penny Knight band helped the Church make its debut as a new and unusual performance venue. On August 15, the highly skilled double bassist Rich Mollin assembled an eclectic group of jazz instrumentalists for an evening of jazz.